The last time the Hoosiers went bowling was down in Arizona back in 2007. While we are just 15 days away from the start of the college football season, the goal on the other hand lies four months ahead. The 2013 season is the first time in a long time that the Indiana program has any expectations whatsoever heading into the season. The coaching staff, players and fans all know that is the case and there is a general sense of optimism concerning the program. Interestingly enough, the national media has agreed with the sentiment of the Hoosier faithful, and have jumped onto the bandwagon with both feet. As I am sure many of you have, I have scoured through the websites and magazines alike in the hope of finding good news regarding winter travels based around Indiana football. Much to my delight, and I am sure many of yours, just about every publication out there has the Indiana Hoosiers going bowling at the conclusion of the season. Yes, that is correct, the Hoosiers are predicted to “Play 13” in 2013. So I figured what better way to get your juices flowing on “hump-day” just over two weeks away from kick-off than to look at the success projected by the national media outlets. First of all I figured a breakdown of the current Big Ten bowl tie-ins was in order. With much ado about the changes to the college football landscape, especially the new tier system that the Big Ten is using for bowls in the future, this year however; it stayed with the status quo. With that all settled, let’s jump into the predictions. I looked at seven different websites and magazines and only one decided Indiana was not worthy of a preseason bowl prediction, that site was CBS Sports. We will now continue with the other six who have the Hoosiers playing an extra game this coming holiday season. In Mr. Steele’s magazine, the great prognosticator has determined that the Hoosiers will be heading down to Houston where they would be taking on the Kansas State Wildcats. The Texas Bowl pits two midlevel teams from the Big Ten and Big Twelve against each other in the lone star state. One of the preeminent college football preview magazines on the market, Athlon has Indiana facing off against a talented TCU team in the Texas Bowl. This is the type of matchup that has made the Big Ten shy away from Texas as a bowl state and move more matchups out west. While this might not be the warm weather vacation that most Hoosier fans are hoping for when dreaming about a bowl trip. 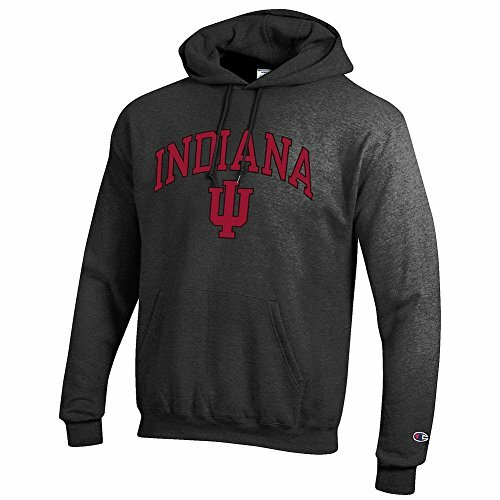 It will be rather light on the wallet as it is just about a five-hour drive from campus or Indianapolis. This particular matchup against the Falcons would be a regular season rematch, which is always fun. The guys over at the World Wide Leader also have Indiana taking on Kansas State down in the Houston Texans home field. While the trip will be easier for any Big 12 team, matching up against a non-Texas opponent would be a plus if playing in Reliant Stadium. While again the Hoosiers would be heading down to the Lone Star State, they would be spending their time in Dallas as opposed to Houston. Played in the historic Cotton Bowl, it would be a great way for Indiana fans to cross a game off of their college football bucket lists. Columnist David Fitzgerald apparently doesn’t think that the Big 12 will have enough teams that would be bowl eligible to fill the slot so Conference-USA representative Southern Miss takes the spot. Well, its pretty obvious that the powers that be feel that you should be booking your flights down to Texas, most notably Houston. While games such as the Texas Bowl and the Heart of Dallas bowl might not be steeped in tradition, the fact that so many outlets believe that the Hoosiers will be going bowling is an indication that the program under Kevin Wilson is moving in the right direction.